Governor John Kitzhaber was in Eugene today (Wednesday) to sign a “Declaration of Cooperation” for the new regional business accelerator. The document pledges the state's commitment to the project. 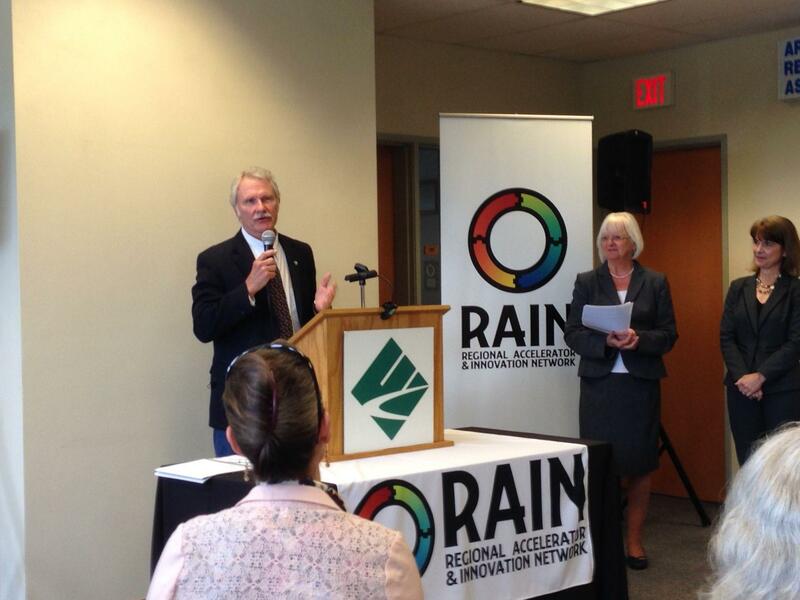 Governor John Kitzhaber pledges support to the RAIN project at the Eugene Chamber of Commerce. Mayors Kitty Piercy (Eugene) and Julie Manning (Corvallis) are at right. The legislature funded the project with 3.75 million dollars for the next two years. The money will help RAIN groups in Eugene and Corvallis cultivate and support emerging companies. Local leaders hope the effort will result in more high-quality jobs in the state. 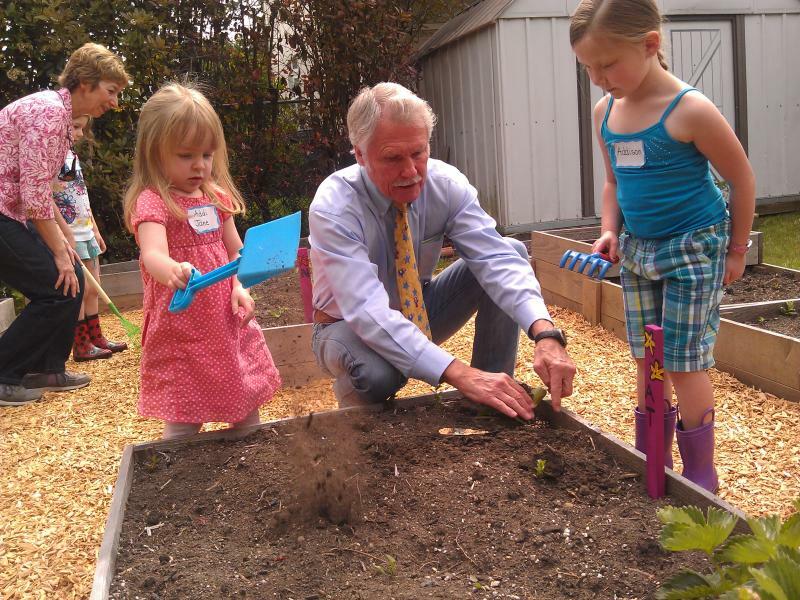 Oregon Governor John Kitzhaber visited a preschool in Eugene Thursday. The home-based center is part of a pilot program offering support for early childhood education. At the Friendship Preschool, each child has their own garden plot. The governor helped plant vegetables while touring the home-based facility. Kitzhaber wants the state to invest in programs like this one. 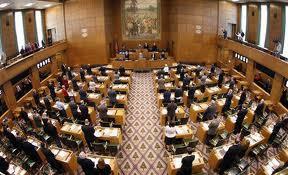 Oregon's 2014 legislative session, which started 5 weeks ago, is almost over. Lawmakers are wrapping up loose ends in order to finish by Sunday, or sooner. 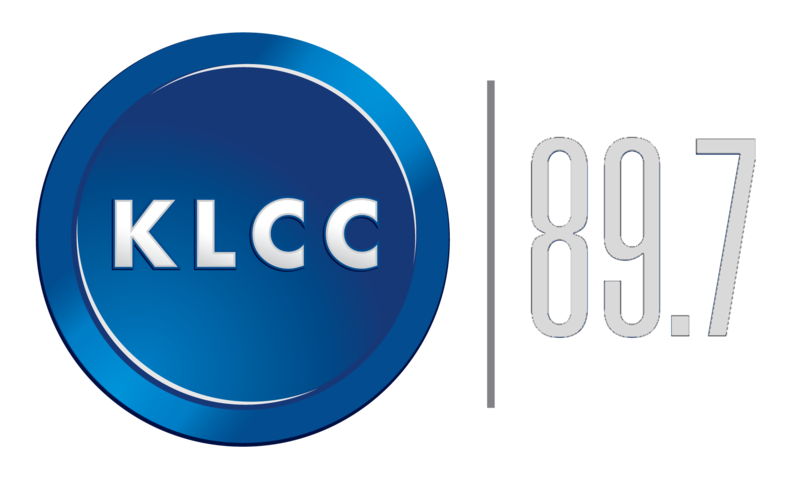 KLCC's Angela Kellner spoke with Salem Correspondent about last-minute political deals and the upcoming filing deadline for the May primary.